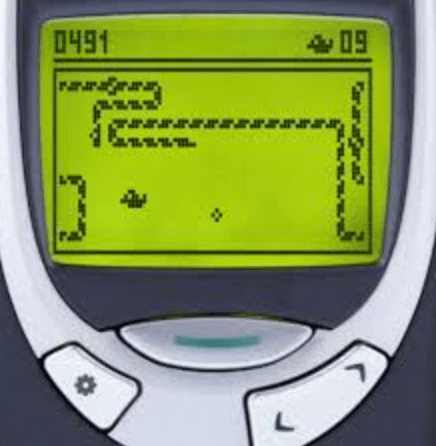 Remember when the best game you could play on your phone was Snake? In 1998, Snake was preloaded on Nokia phones, and it was massively popular. That same year Half-Life won game of the year on PC. Metal Gear Solid came out for Playstation. The first version of Starcraft also came out in 1998. In 1998, few people would have anticipated that games with as much interactivity as Starcraft would be played on mobile phones twenty years later. Today, mobile phones have the graphics and processing power of a desktop gaming PC from two decades ago. But one thing still separates desktop gaming from mobile gaming: the network. With desktop gaming, users have a reliable wired connection that keeps their packets moving over the network with speeds that let them compete with other users. With mobile gaming, the network can be flaky. How do we architect real-time strategy games that can be played over an intermittent network connection? Yan Cui is an engineer at Space Ape Games, a company that makes interactive multiplayer games for mobile devices. In a previous episode, Yan described his work re-architecting a social networking startup where the costs had gotten out of control. Yan has a skill for describing software architecture and explaining the tradeoffs. When architecting a multiplayer mobile game, there are many tradeoffs to consider. What do you build and what do you buy? Do you centralize your geographical deployment to make it easier to reconcile conflicts, or do you spread your server deployment out globally? What is the interaction between the mobile clients and the server? The question of interaction between client and server for a mobile game has lessons that are important for anyone building a highly interactive mobile application. For example, think about Uber. When I make a request for a car, I can look at my phone and see the car on the map, slowly approaching me. The driver can look at his phone and see if I move across the street. This is accomplished by synchronizing the data from the driver’s phone and my phone in a centralized server, and sending the synchronized state of the world out to me and the driver. How much data does the centralized server need to get from the mobile phones? How often does it need to make those requests? The answers to these questions will vary based on bandwidth, device type, phone battery life, and other factors. There are similar problems in mobile game engineering, when users are in different players on a virtual map. They are fighting each other, trying to avoid enemies, trying to steal power ups from each other. Mobile games can be even more interactive than a ridesharing app like Uber, so the questions of data synchronization can be even harder to answer. On Software Engineering Daily, we have explored the topic of real-time synchronization in our past shows about the infrastructure of Uber and Lyft. To find these old episodes, you can download the Software Engineering Daily app for iOS and for Android. In other podcast players, you can only access the most recent 100 episodes. With these apps, we are building a new way to consume content about software engineering. They are open-sourced at github.com/softwareengineeringdaily. If you are looking for an open source project to get involved with, we would love to get your help.